What have you been up to? I look forward to seeing your comments below. 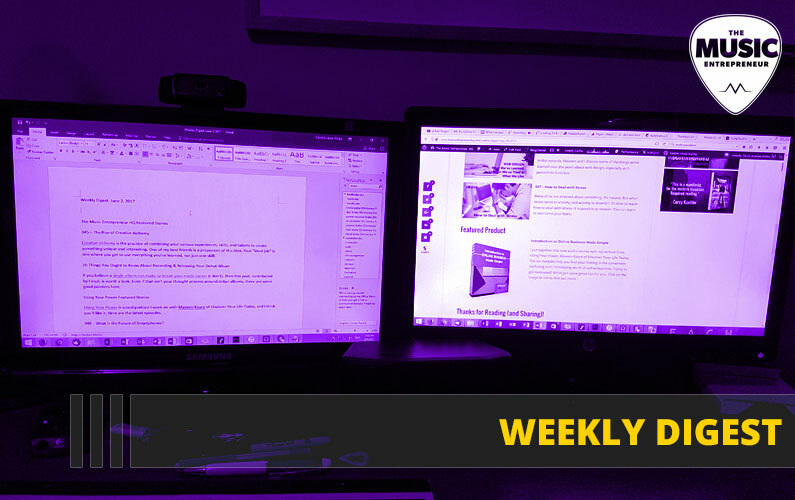 Here’s what I got up to this week. 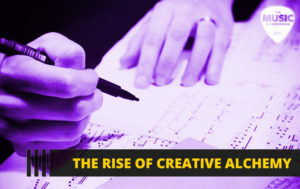 Creative alchemy is the practice of combining your various experiences, skills, and talents to create something unique and interesting. One of my best friends is a proponent of this idea. Your “ideal job” is one where you get to use everything you’ve learned, not just one skill. If you believe a single album can make or break your music career (I don’t), then this post, contributed by Faisal, is worth a look. 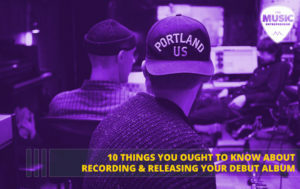 Even if that isn’t your thought process around debut albums, there are some good pointers here. Smartphones are quite advanced. But are they at their peak, or is there still room for improvement and change? 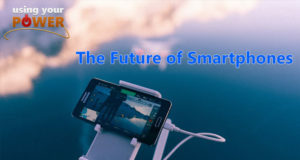 In this episode of Using Your Power, we talk about what we see in the future for smartphones. 049 – Is Market Saturation Real or Imagined? There are now over 7.5 billion people on planet earth. 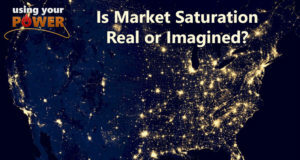 Considering that, it’s worth asking: Is market saturation real, or is it something we’ve made up? Is it just an excuse? Or is saturation something that stops us from succeeding in the capacity we’d like to? I put together this new audio course with my co-host from Using Your Power, Maveen Kaura of Discover Your Life Today. 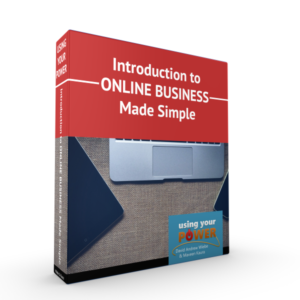 The six modules help you find your footing in the sometimes confusing and intimidating world of online business. Looking to market your business? We get into that too. Click on the image or link to find out more. Don’t worry – there’s more for you to explore. Here’s last week’s summary.